The study found pregnant women who lived near farms where pesticides are applied had two-thirds higher risk of having children with autism. A CALIFORNIA STUDY published today found that pregnant women who lived near farms where pesticides are applied had a two-thirds higher risk of having children with autism. “We mapped where our study participants’ lived during pregnancy and around the time of birth,” said principal investigator Irva Hertz-Picciotto, vice chair of the Department of Public Health Sciences at University of California, Davis. About one-third of study participants lived within 1.25 to 1.75 kilometers (about a mile) from a site where commercial pesticides were applied. 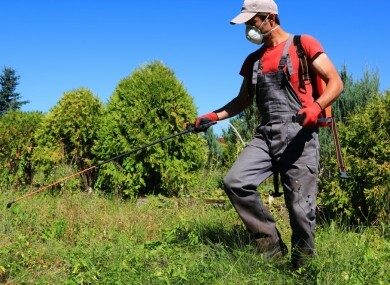 The study authors said the developing fetal brain may be particularly vulnerable to pesticides. “This study validates the results of earlier research that has reported associations between having a child with autism and prenatal exposure to agricultural chemicals in California,” said lead study author Janie Shelton, a UC Davis graduate student. Email “US study finds link between pesticides and autism”. Feedback on “US study finds link between pesticides and autism”.